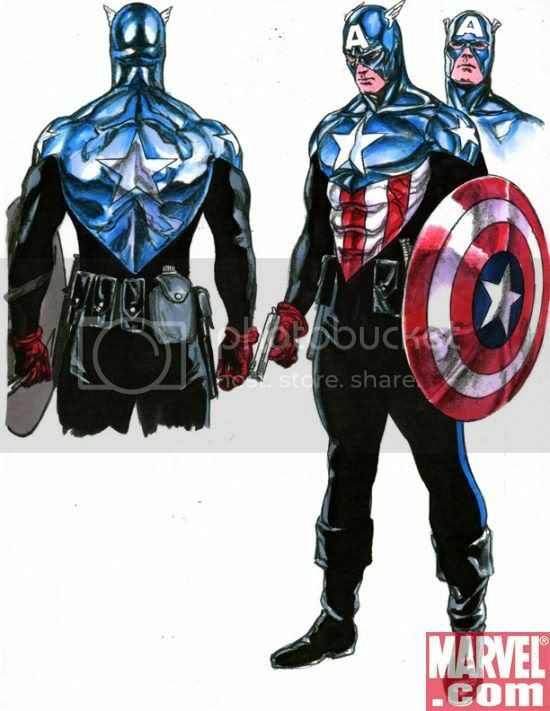 Marvel revealed the new Character design for Captain America that will soon appear in the upcoming Captain America #34. 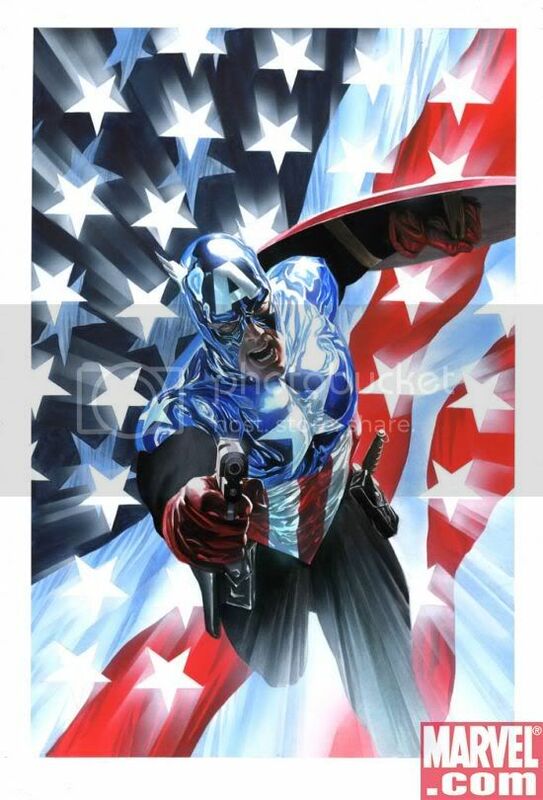 Marvel commissioned Alex Ross to create the new design. 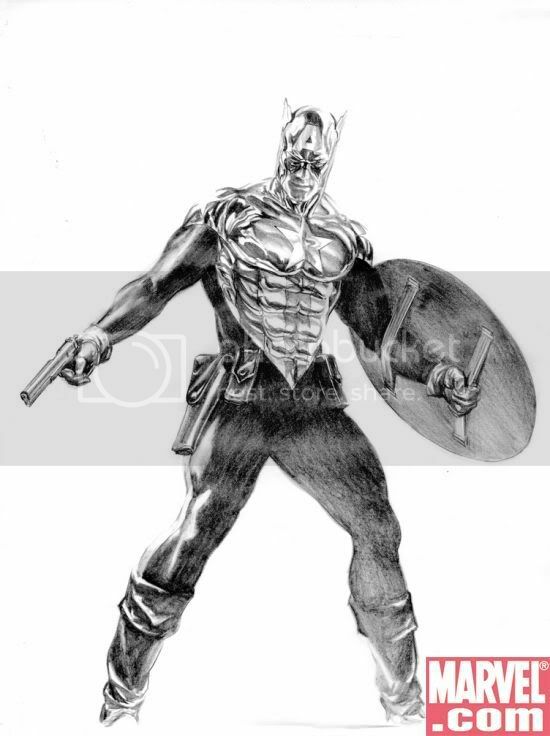 I like the shiny look and he got a gun and a knife as addition to his usual arsenal, his adamantium-vibranium shield. 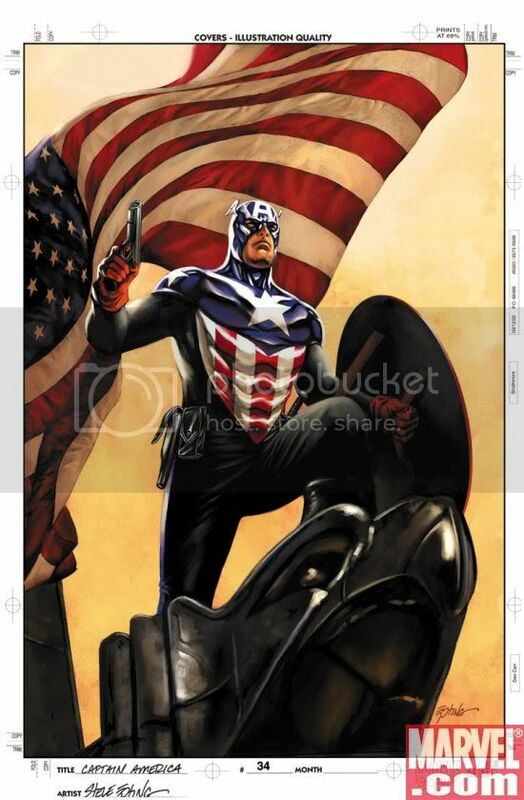 Many rumors came out regarding the identity of the new Captain America. 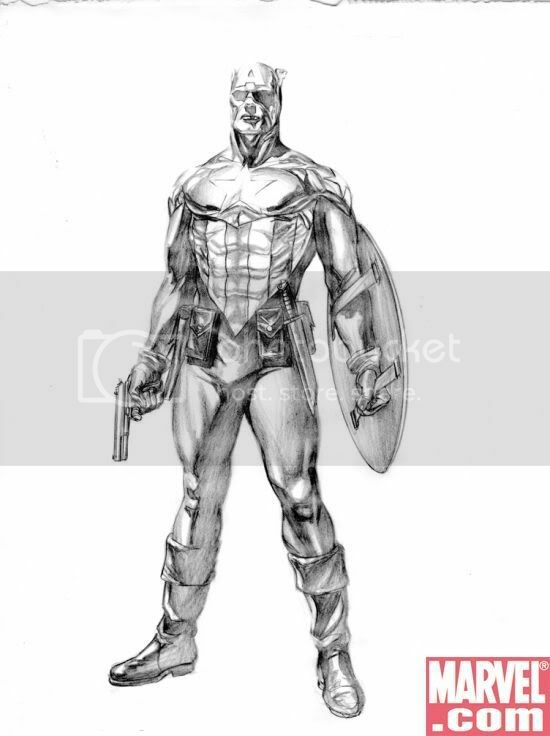 Many says its Bucky aka Winter Soldier; some says it is U.S. Marine Corpsman James Newman a soldier who idolize Steve Rogers in the MarvelKnights title Captain America:The Chosen and lastly many still hope that he is none other than Steve Rogers himself. But to answer everyone's question, Marvel assured that this character is definitely not Steve Rogers. Because he is still dead. Here are the other sketches of Alex Ross and one cover created by Steve Epting.